***In which experienced West End actress Freddy Carlton takes on an Austen-inspired play, a scandal at a country estate, an enthusiastic search for a passion outside of acting…and the (some people might say icy*) heart of London’s most feared theater critic. Don’t miss the London Celebrities series by Lucy Parker! Order your copy of Act Like It**,** Pretty Face & Making Up today! One-click with confidence. This title is part of the Carina Press Romance Promise*: all the romance you’re looking for with an* HEA/HFN. It’s a promise! Theatre and Austen: two things I love written by one of my new favorite contemporary romcom authors. Can't go wrong with that combo. Lucy Parker didn't. I love Lucy's characters, except for Sadie Foster, of course. Grumpy Griff is my kind of hero: crusty on the outside, soft and caring inside. Marvelous sense of responsibility, razor-sharp intellect, and biting wit. Seemingly his opposite is effervescent Freddy. An actress with an impressive pedigree, she has to balance family expectations with her true inclinations. Against the backdrop of an interactive Austen adaptation Freddy is starring in, set in a theatre Griff's grandfather built for Freddy's grandmother, and a mystery that threatens both their families, these two develop a relationship that surprised everyone including themselves. At times, the storylines got a bit chaotic with so many different things happening at once and with so many characters converging on the same scene at the same time. But, all throughout the book, the relationship between Freddy and Griff was at the center. I enjoyed this book, I love this series, and I'm really looking forward to future stories about Charlie and Sabrina (not necessarily paired together). 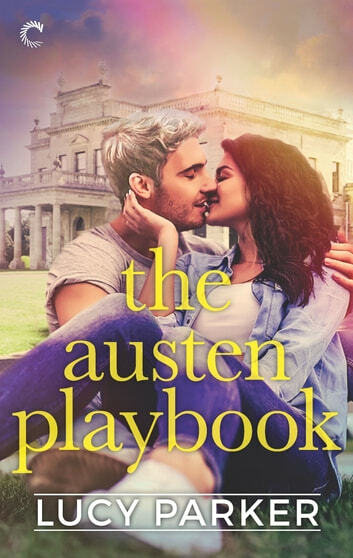 While I still haven't read Act Like It, book 1 in the London Celebrities series, I had loved Pretty Face, book 2; disliked Making Up, book 3, and I took a chance on THE AUSTEN PLAYBOOK. So, no need to summarise, the blurb is sufficiently explicit. Lucy Parker possesses phenomenal writing skills, her characters are vibrant and real, the physical environment as clear as HD TV, the dialogues snappy and realistic, and she displays a biting sense of humour. The whole show business angle is fascinating, as is the case for the whole series; I love it. But the romance was very problematic for me. I felt it was never given a chance to develop organically; I kept being told there were sparks where I felt none; I felt no chemistry between Griff and Freddy. There was this whole theatre story to be told and there had to be a romance. Freddy was interesting; at 23, she is at a crossroads: should she do what she really wants or what is expected of her. Her romantic interest, Griff, to be polite, left me cold; I found him completely lacking in charisma, stiff, mostly unpleasant and unengaging; to put it bluntly, I found him exceedingly dull. We're never told how old he is; his brother Charlie is 26, Griff is older, but how much older? To me, he seemed much, much older. I presume he is in his thirties, but I saw an old fuddy-duddy. Also, Freddy is 23; Charlie 26; and it's written, at some point, that he is "several years older" than her. I beg to disagree: three years is literally a couple of years plus one; that does not constitute "several". There are numerous characters, and while it's not difficult to keep track of who's who, I got the impression that the author was setting up an entire series, with all the subplots for at least a few more enemies-to-lovers books down the line. I did love Charlie and Dylan; they were entertaining and charismatic, if very different. At around 30%, I started to get bored, and I don't quite know why. Possibly because the romance failed to captivate me or because so many subplots started to crowd the main plotline. There's the obligatory mean girl, whose meanness should have been limited to a couple of characters instead of being mean "because". The promising mystery became extremely convoluted, and one big reveal was so farfetched, I can't believe someone would be so stupid. Then around 75%, I grew increasingly annoyed at all the drama; it was one thing after another, the intrigue was bogged down in superfluous details and the mean girl's shenanigans; I thought the book would never end. This along with the overlong epilogue and its fairytale solutions had me shave a star from my rating. Freddy grew as a character, but Griff very little: he never did anything about his problems with his parents; it was magically resolved, and part of it was rather puzzling with regards to another character. I love Lucy Parker's writing and her priceless insights in the world of theatre and show business, but will I read another book in this series? At the moment, I doubt it. 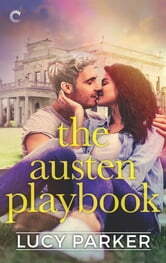 THE AUSTEN PLAYBOOK had all the ingredients for a fabulous story, but it just didn't work for me. Freddy Carlton is a West End (of London) Theatre actress, she comes from a long line of actors and writers, practically theatrical royalty. Her father is her manager and is pushing her into taking on ore serious roles, particularly in plays written by her paternal grandmother the famous Henrietta Carlton whereas Freddy loves, and excels at, the lighter shows - musicals, comedies - she likes to entertain people and make them happy. Against her father's wishes Freddy has signed up to act in a live TV production of an interactive murder mystery based on the characters of Jane Austen, where viewers can determine the outcome of the story through voting on an app, called The Austen Playbook. The show is being rehearsed and televised from the stately home of one of theatre (and Freddy's) harshest critics, James Ford-Griffin, whose physical similarities to Slytherin's favourite son Malfoy Draco are made abundantly clear. Let me start off by saying I love Lucy Parker's theatrical romantic comedies and this is no exception. I love Jane Austen, I love country house romantic comedies, I love romance between a sunny, bouncy, Pollyanna-esque heroine and a grumpy, acidic hero. I also loved the mystery which Freddy and James solve about the notorious affair between their respective grandparents. I suppose you could level the accusation that Lucy Parker's heroines are kind of similar but I don't care, I loved it, it was a feel good romp of the best kind. I received a free copy of this book from the publisher via NetGalley in return for an honest review.